Hello ... Hello ... my old friends ... It's great to see you once again! It was perhaps inevitable that, as a result of the friendship between Yours Truly KJS here at ELO Beatles Forever [ELOBF] and Michael Laine Hildebrandt of Bubble Gum Orchestra [BGO], that the marvellous news that the lead single from BGO's highly anticipated fourth studio album "Beyond Time" [and it really is well worth the wait folks!] 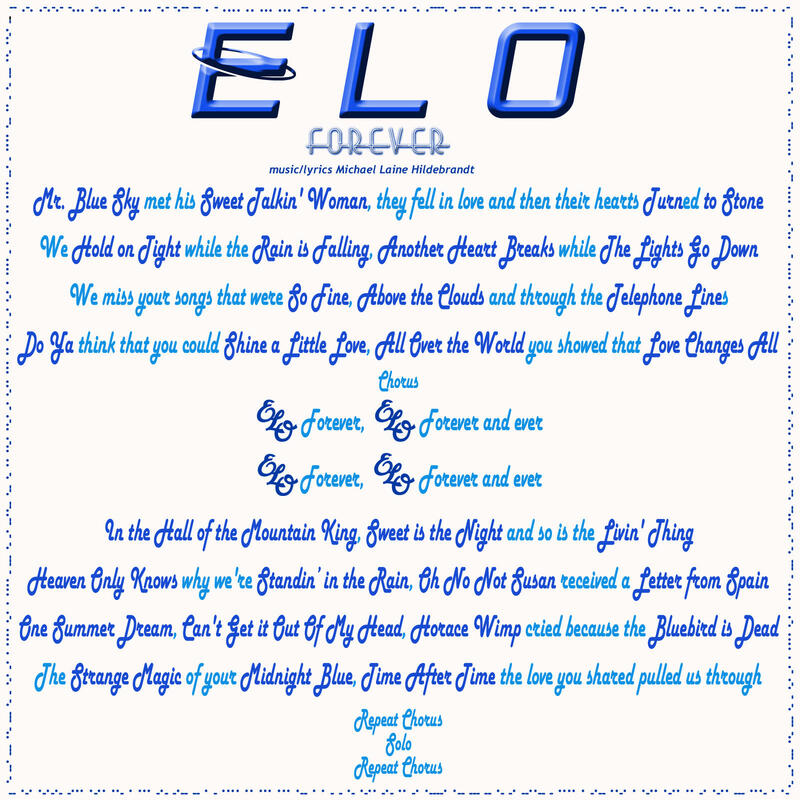 will be the wonderfully titled "ELO Forever", truly sets the senses tingling for this particular ELO fan. You may [or may not] be aware that ELOBF started back in 2009 initially to campaign for the release of "Secret Messages" in its originally intended format [its mission has since expanded!]. So, to be announcing the release of this wonderful tribute to the influence and legacy of Jeff Lynne and the Electric Light Orchestra [ELO] really is truly thrilling. I've had the great privilege of listening to "ELO Forever" [3:57] for the last couple of weeks - I'm listening to it again as I write this! And it still brings a smile to my face with the clever use of ELO song lyrics over a tune replete with nice guitar riffs and a sweet repeating piano tickle. Add to that layered backing vocals with a hint of vocoder as well as that anthemic chorus and you have a superb ELO themed single! "I have always been intrigued with the mystery surrounding ELO's song, "Beatles Forever". From the time that I learned about the existence of that song, I've always believed that it would be nice to write a song paying homage to the Electric Light Orchestra and Jeff Lynne's fine work. I thought it would be different and unique to write a song which only included ELO song titles to make up the storyline. It was challenging to do this and make it all sound "right" and cohesive. I started writing it several years ago and then put it on a shelf until Keith James Sinclair at ELO Beatles Forever sparked my interest again this past year during the writing of "Beyond Time". It is a nice little song that I hope ELO fans will enjoy for years to come!" 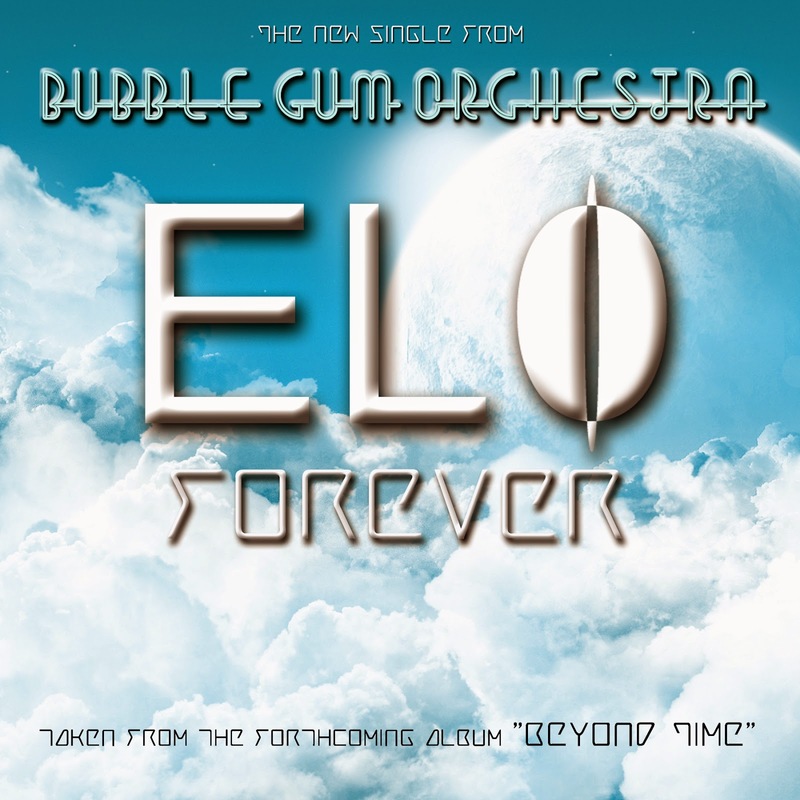 ELO Beatles Forever [ELOBF] recommends "ELO Forever" by Bubble Gum Orchestra to those enlightened folks who enjoy the music of ELO, Jeff Lynne, Roy Wood, The Move, The Idle Race, 'Brum Beat', The Beatles and related artistes. Figure someone "anomously" would post that.